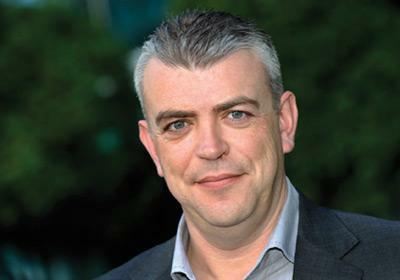 The latest trends in printing, on the consumer-side, are added technology and applications – it’s becoming about “what you can achieve with a printer, not just paper and ink”, says Hamish Alexander, country manager of Hewlett-Packard imaging and printing group. HP is seeing “fantastic” uptake of its ePrint technology, with the ability to email a printer from anywhere. Users of the service are able to securely print documents from compatible printers that are nearby or at remote locations such as hotels or airports, he says. The growth of handheld devices in businesses has created the demand for mobile printing, with users able to send print-jobs from their iPad, iPhone, Blackberry or any smartphone, says Alexander. He acknowledges this may be another concern for IT managers, “but I think they understand that the need to do it is paramount”. It allows businesses to be productive and enables a mobile workforce to conduct business anywhere. “There are no excuses now – you can’t say, ‘I haven’t got the document,’” he says. When considering shifting to a more environmentally sustainable print solution, IT-managers should view it as an all-of-life print solution, and not just look at the initial impact, according to Alexander. “They should be looking to reduce environmental impact but also the cost – they go hand-in-hand,” he says. An example is moving to duplex-only printing and the software that allows that. This saves paper and costs at the same time. All of government contracts and RFPs now always ask for specific details around sustainability, says Alexander. The sustainability focus is also spreading from business to the consumer, he says. Community pathology services provider Labtests has gone with a scanner, printer and device management solution from Ricoh. Information flow has been improved by scanning patients’ specimen details form from their doctor when they arrive at a Labtests collection centre. The scanned form is sent to Labtests’ central laboratory and automatically identified by its barcode. When the specimen arrives at the laboratory, the form is scanned again and matched with the first scan, allowing the system to record audit trail data, including how long the specimen has spent in transit, says Labtests’ IT services officer, Dan Johnson. Labtests is also using @Remote, a device monitoring and management tool that automatically takes meter readings and generates reports on service needs and toner levels. It used to be a manual process to call up each customer and ask for the meter reading, says Ricoh marketing manager Murray Clark. This is now fully automated and integrated into Ricoh’s billing system, he says. Part of @Remote is also reducing the number of service calls, says Clark. Ricoh has a fleet of around 170 service technicians on the road, nationwide. All technicians are on GPS tracking so the call centre operators can see exactly where they are, helping the company to send the closest technician with the right skills and parts for the job, he says. Ricoh is carbon zero certified and when the company went through the process it realised the value that could be passed back to the business, Clark says. “We became aware that by reducing the amount of fuel and electricity we consumed, we could also save money,” he says. Another way of reducing the number of service calls is having some of the company’s most experienced technicians based in the call centre and help desk, he says. “Customers want the machine up and running as fast as they possibly can. If the problem is user-repairable, the technicians can help the customer fix the machine over the phone,” says Clark. Around 25 percent of calls can now be solved over the phone, he says. The @Remote software captures information from each Ricoh device out in the field and sends it to a central server, says Clark. It provides meter readings every month with information on how many black and white or colour prints a customer has made, for example. This way it is easy to track how much paper and electricity each device uses, which can help the customer target inefficiencies and reduce costs, he says. When a technician is despatched to go out and work on a machine, information about the last five service calls, and details of what else may be required to do at the time is sent to the technician’s tablet, says Clark. This means maintenance tasks that are due in the near future can be done at the same time – again saving the technician another service call. The system also checks that the technician has the right skills and parts, says Clark.